The long awaited Photo Mechanic 6 has now been released and I have been using it extensively for the past week. 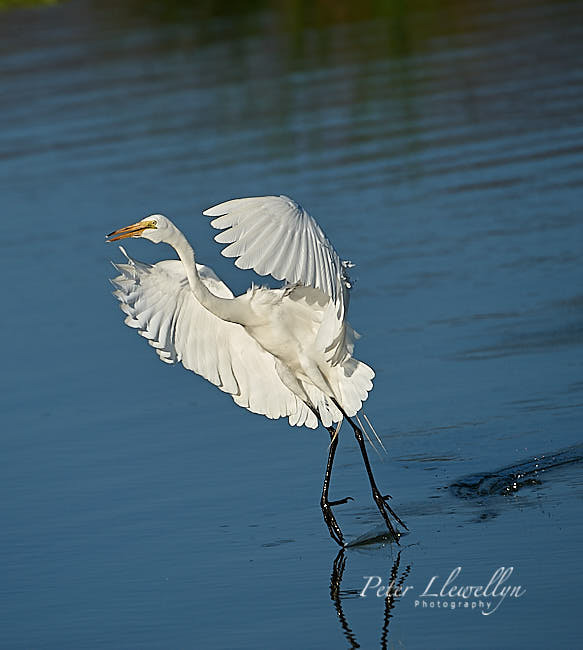 As many will know, Photo Mechanic is an essential part of my workflow for all my images, both sport and wildlife and is my program for culling outtakes and captioning every image that I shoot. The new version is a big step forward, primarily in speed with a few added functions. Incidentally all settings from Photo Mechanic 5 will be automatically ported across into the new version. Faster viewing – image caching improvements increases thumbnail / preview generation speed by approximately 2-3x. 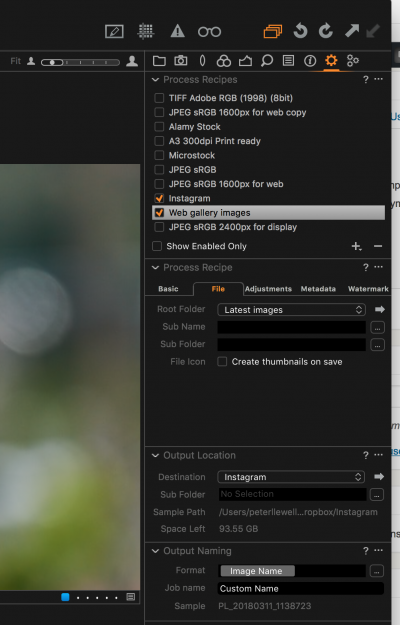 Instantly start working on images even when a large card is still ingesting. I have used the Nik filters software package to enhance some images since it was a $150 package. It is in fact, the only image processing plugin that I use in addition to my regular workflow software, Capture One Pro 11 and Adobe Photoshop. The package was acquired by Google in 2012 who made it free but then subsequently abandoned any further development in 2017. 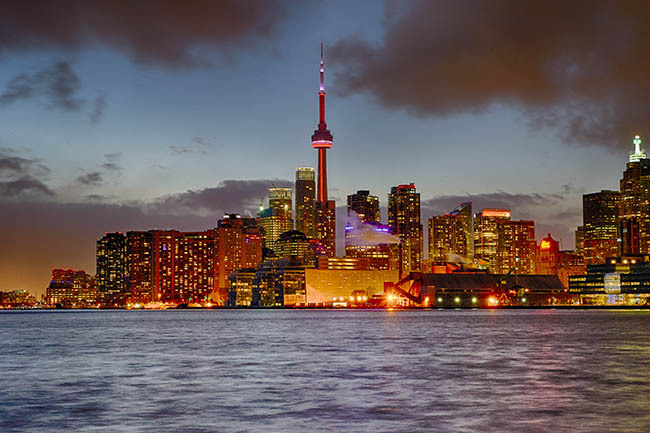 The ultimate effect of this was that as Photoshop and Lightroom were updated, incompatibilities started to creep in, leading to software crashes and general instability, much to the concern of regular users. 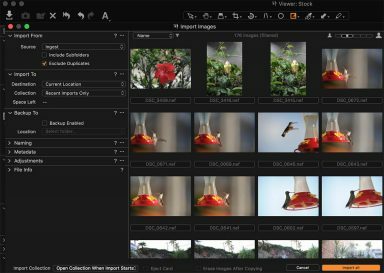 I had all but given up hope of continuing to use the Nik filters collection suite when suddenly, imaging software company DxO announced they had acquired Nik and had produced a major update. This resulted in full compatibility with Photoshop, Lightroom and Apple OS operating system. Nik is no longer free, with DxO charging just $69 for this very powerful product – (was on offer for $50 until July 1). Actually great value considering you get a total of seven creative plugins – most of which I use at different times. Create a range of effects emulating both creative wet darkroom techniques and/or the look produced by various camera and film combinations. The least used of the plugins in my personal situation. This is the filter I use most. It includes options for color corrections, retouching, extracting fine detail and contrast corrections. In my opinion this filter, along with Viveza and Sharpener is worth the price alone. Setting the Control point so that just the hummingbird is selected. In this image I have added two filter effects to the original image. First I have selected color extractor followed by a Pro-contrast adjustment. As this is a regular combination for me I have also saved this setting as a ‘Recipe’ that I can quickly add to other images. As I still want to ensure the bird stands out from the background I have set a control point for each filter and adjusted the circle to just encompass the bird leaving the background pixels unaffected. Please note that the image sliders are not working in the latest version of WordPress. We are working on a fix for this. CAUTION – This filter is extremely powerful and it’s very easy to overdue it’s use creating an artificial look to your image. The effect should be subtle! Now, the only method I use to convert images to black-and-white. A huge range of controls available including presets emulating the effects of traditional camera filters for mono photography, tonal and contrast corrections, and dynamic range adjustments. In fact just about everything I could previously achieve in a traditional wet process darkroom but with a great deal more control. For this conversion I first chose the High Contrast preset that added some refinements of my own by increasing the brightness slightly and reducing the contrast. 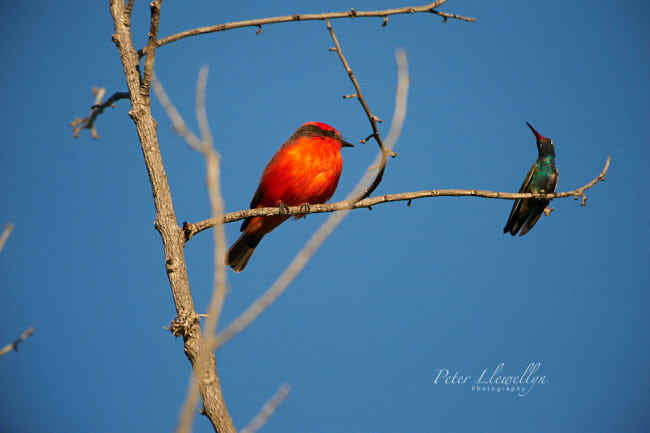 Need to selectively adjust color or tone in just a part of your images? Achieve enhancements exactly where you need them which blend beautifully with the rest of the image without creating complicated masks. Achieved using Upoint technology (see below) which is also available to apply selective adjustments to other filters within the suite. 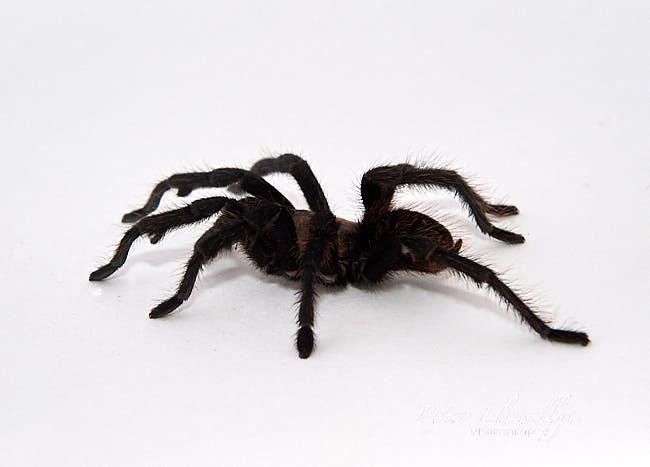 I used two control points, one to lighten the spider and one to brighten the white background. The whole process took less that one minute without having to mask a single thing. Create a range of HDR (High Dynamic Range) effects, adjusting tonality, opening shadows and enhancing saturation. I usually run through the presets to find the one that most closely resembles the effect I am seeking and then make adjustments to fine tune the image. Whilst Photoshop and Capture One have some fine sharpening tools in my opinion this filter is far superior. First, you have the ability to pre-select sharpening based on the final use of the image – inkjet printer, screen, continuous tone printer etc. 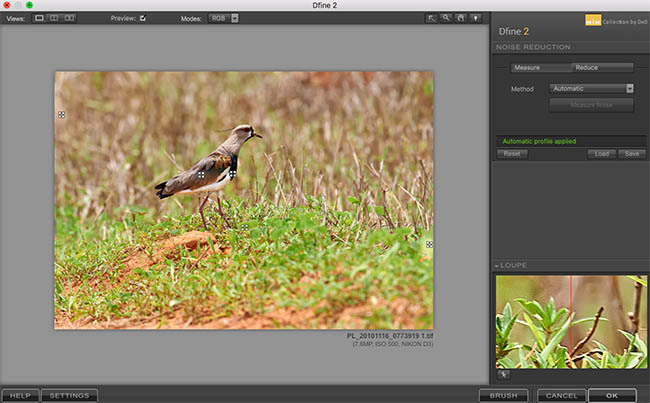 Further, you can easily apply selective sharpening to different parts of the image. The best noise reduction package I have found. Dfine has built-in profiles, customized to different cameras and ISO settings, which applies the reduction only to noise elements of the file so that details are not lost. Although modern cameras are themselves, extremely good at reducing noise at high ISO settings I find myself often using Dfine on older images shot with older, less adept cameras. My usual workflow when using the Nik suite is the following – note that of course not every stage of this flow is used on every image, it depends entirely on the image at hand and the desired final effect. 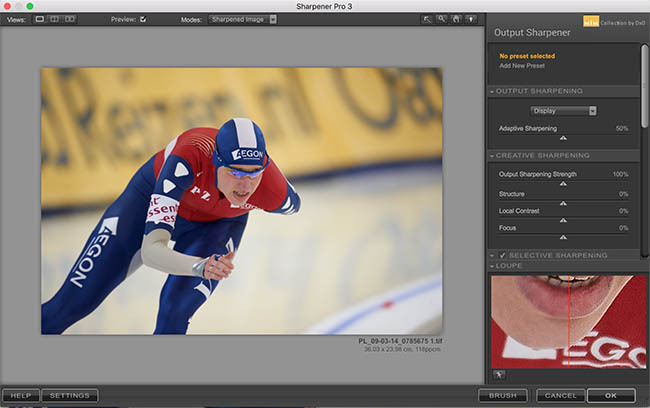 Sharpen the image for the desired output using Sharpener Pro – I only use this step when an image is being prepared for final output and sharpening is applied according to the use of the image. Always size your image before applying sharpening as different degrees of sharpen are required for different output sizes, even of the same image. It is in fact extremely easy to ’round trip’ an image from Capture One into the Nik filters and save back to a new version in Capture One. Simple select File/Edit with (or right click the thumbnail and select Edit with) and a pop-up window asks what program you wish to use for your editing. 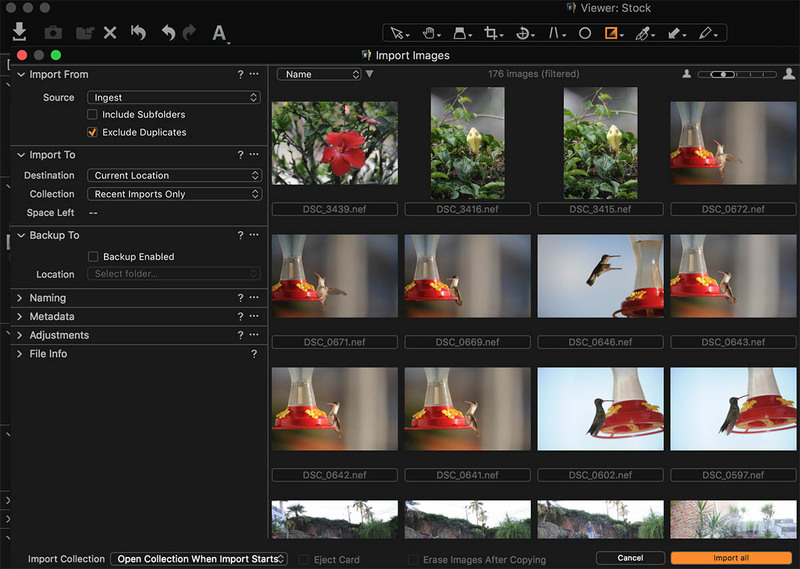 Select the desired Nik filter and afterwards save your image which will automatically be added to the Capture One catalog. 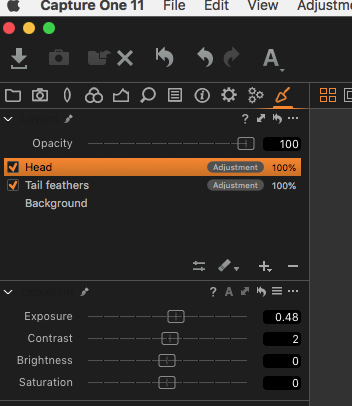 If I intend to use more than one of the Nik filters it is much more convenient to open the image in Photoshop then use the multiple filters in sequence before saving a single time. Download a fully functioning 30 day trial at https://nikcollection.dxo.com and try this amazing product for yourself. Cataloging images and Aperture or Lightroom? I know I have been down this road before but with the continuing delays with Photomechanic’s promised image database I have once again found myself comparing Aperture and Lightroom as my primary raw conversion and databasing software. In the past I have continued to come down on the side of Apple’s Aperture, which I have been using since the product was first launched in 2005 but since spending a couple of months playing around with Adobe’s Lightroom 5 I have finally decided to drop Aperture and convert to the Adobe product. What has caused this change of heart after being a staunch Apple supporter for so long? First a breakdown of the main reasons and then some details on how the decision was arrived at. There are a number of features that have really led to this decision. Looking at each of the above in turn. Plugins – Photoshelter runs my on-line database and Alamy is my major photo agency. 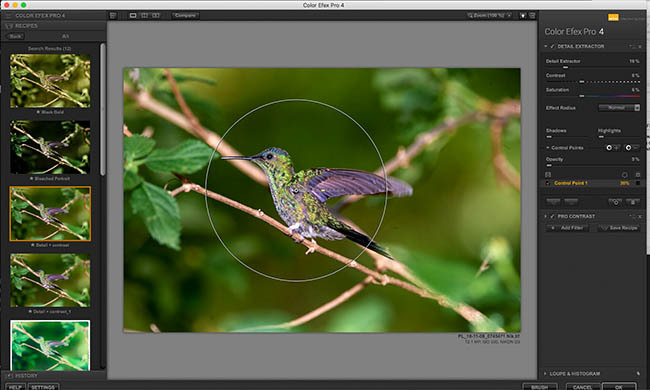 Although Aperture has plugins for upload to both services the equivalent’s in Lightroom 5 are considerable more powerful, particularly in their ability to track submissions, including finding images that are already uploaded. This makes it much easier to keep trck of which images are on which service. NIK Software – Although 9 times out of 10 I will open an image in Photoshop before applying NIK filters on the odd occasion that I want to simply apply a quick adjustment such as detail extractor (which I now use on just about every wildlife photo) Lightroom opens the images into NIK much quicker than Aperture. Healing brush – The new healing brush tool and it’s ability to paint over an area rather than just heal a spot is a major improvement over the equivalent in Aperture. Gradient tool – I am not a big user of filters in my photography. In fact the only filters you will normally find in my bag are a polarizer and a neutral grad filter. However I have become a big user of the grad tool in photoshop. The ability to not only apply an exposure compensation filter but to also apply any coloured graduation you wish and to apply multiple filters makes this an incredibly useful tool. 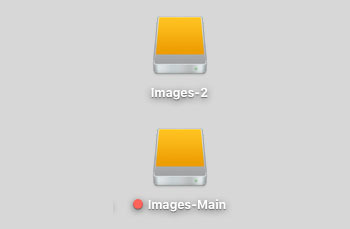 There is currently no equivalent in Aperture. Upright tool – I am not much of an architectural photographer and do not own any PC lenses so it is very helpful to have this tool available on the odd occasion that I need to straighten a building or correct converging verticals. It makes a pretty good job but be careful not to produce an artificial looking image. Smart Previews – honestly have not used this tool yet, but, I am about to spend 18 months working away from the office (more details to follow in next post!!) so it may be very useful not to have all my drives attached. 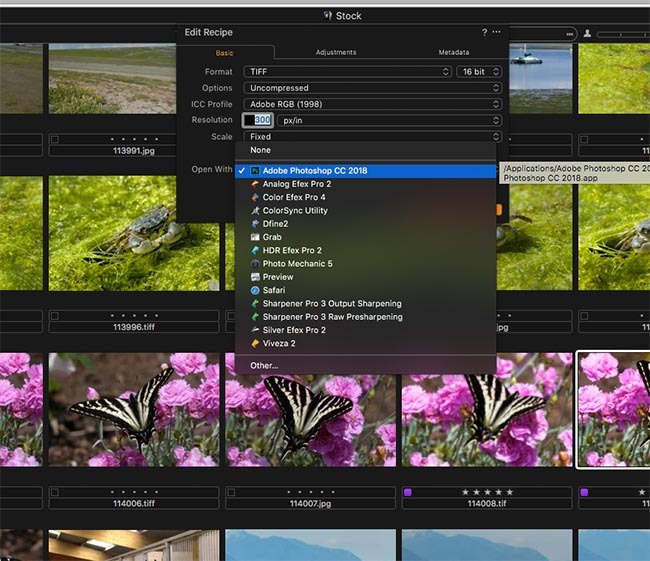 Smart previews allow you to work on your images offline, including making all adjustments which are then applied to the original images when the drives are re-attached. As far as being my on-line database is concerned there is little difference in the performance of complex searches between Aperture and Lightroom 5 and I would be very happy with either one. Overall it is the combination of all of the above minor details that have added up to enough of a difference make the switch. 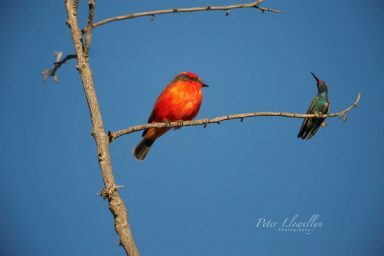 Many photographers, myself included, have included various aspects of the Nik software suite of tools in their regular workflow. I have regularly used Viveza, and Sharpener Pro. I have never bothered with other parts of the Nik offering, mainly because I felt I would use them only rarely and the cost of the full suite was therefore prohibitive. 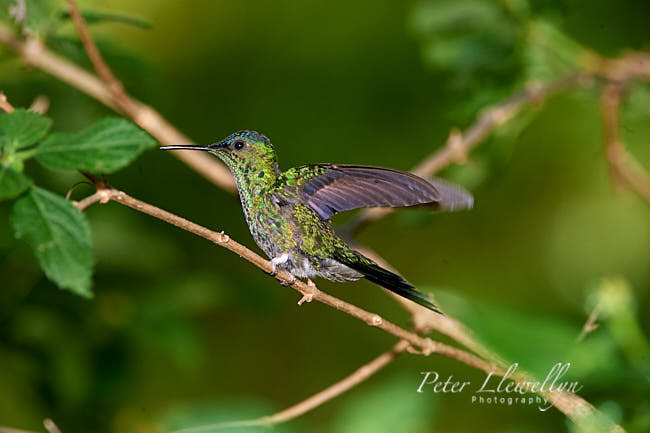 HDR Efex Pro 2 – Create HDR versions using a single or multiple images. Color Efex Pro 4 – A comprehensive set of filters for color correction, retouching and creative effects. 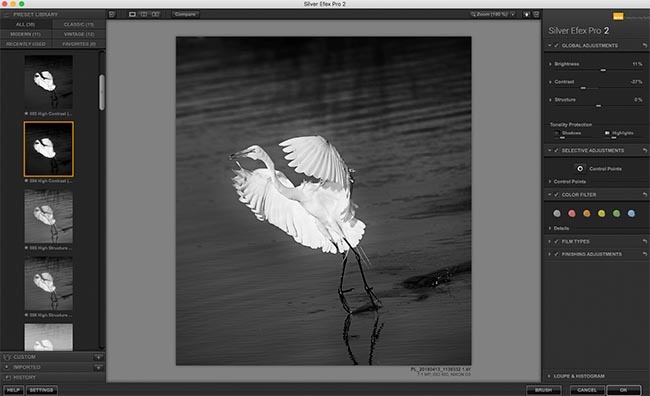 Silver Efex Pro – The very best black and white conversion tool. 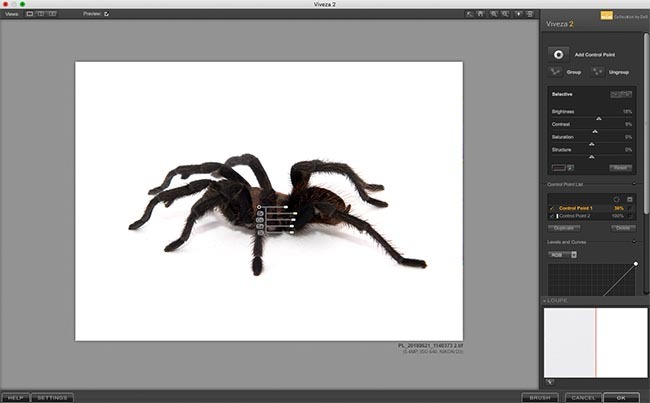 Sharpener Pro 3 – better sharpening than Aperture of Photoshop. Over the next couple of weeks I will post some examples of how I use the software suite. Now I am getting back into ‘photo mode’ from ‘management mode’ I am looking at the various software upgrades that have happened along the way. Anyone who has been on one of my workshops or follows the blog will know that in the main my digital workflow revolves around three main products. PHOTOMECHANIC – (www.camerabits.com) – The primary tool for sorting, captioning, and re-numbering all of my digital files. While I have been in London version 5 has arrived and I am just beginning to get to terms with the slightly changed interface. The main reason for my choice of Photomechanic are it’s speed, ease of use, batch processing ability and perhaps most of all, the convenience of code replacements to aid the rapid captioning of hundreds or even thousands of images from a shoot. So what’s new in version 5? Cropping withing the program can be rotated to any angle and is compatible with Adobe products crop tools so any crop in Photomechanic will now be reflected in an Adobe product. The Preview window can now be opened and remain open whilst still viewing the contact sheet – great for a dual monitor set up such as I use in the office. One of the main reasons behind the new release is that it will integrate into the new cataloging software that Camerabits will shortly (I hope!) release. This promised software will offer dully searchable cataloging/databasing of your complete image collection and perhaps most importantly will be multi-user and offer a remote interface allowing one to contact and administer the catalog from any internet connection. For a travelling photographer such as myself this would offer huge advantages. APPLE APERTURE – (www.apple.com) – Once the images are sorted, captioned and keyworded the RAW files are imported into Aperture which is currently my primary raw image processor, JPEG exporter, and database program. Currently at version 3.3 Apple is needing to pull it’s socks up if it wants to retain the professional and advanced amateur market place! Did you notice that Photomechanic is going to have a database soon? Well one of the main reasons I use Aperture is it’s database so if i can perform that function from within Photomechanic than I have to question what else I am using Aperture for and does it do things better than the competition? More on that shortly. ADOBE PHOTOSHOP – (www.adobe.com) The third product I use is of course Adobe Photoshop. There are just some things that cannot be done any other way, including accurate crops, preparing images for the web sites, sharpening (yes I know Aperture does that as well but frankly the latest version of Photoshop does it better), and anything that requires complex masking or major image manipulation. On occasion I also use Nikon Capture NX2, a product that I used to hate, but which Nikon have been steadily improving. Each different raw process produces it’s own distinct look to the same raw image and everyone has their own personal preferences. You need to take time to learn the nuances of your software and how you can best manipulate the image to produce the look you want. One of the main issues for me is how long does it take to get to where I want to go? This may lead me to adopt a different practice depending on what I am shooting and the urgency with which it is required For example a wildlife shoot usually allows me to take time to process the images whereas a sports shoot is done under high pressure and speed of getting the images to my client is everything. This is one reason I am now adapting my sports shooting to capturing both a high quality JPEG and a RAW file simultaneously so that if necessary I can transmit he JPEG immediately and follow up with a raw conversion if necessary. I generally then keep the RAW files to be put into the database as these will always offer the highest quality attainable. 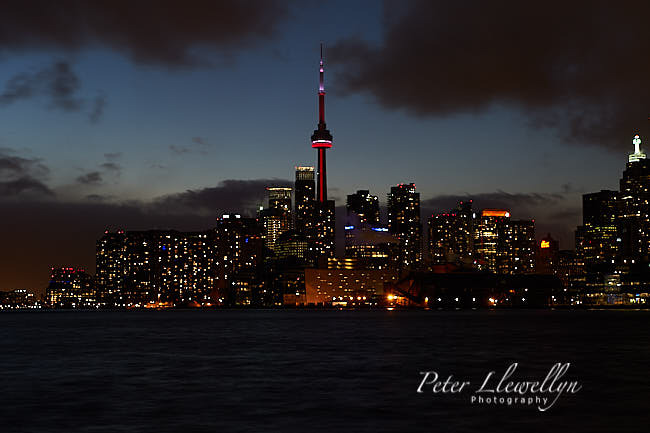 Take a look at the three images below and decide which version you like best. They are all an unmodified (i.e. I have done no additional work on these images) versions interpreted by the converter for each program. 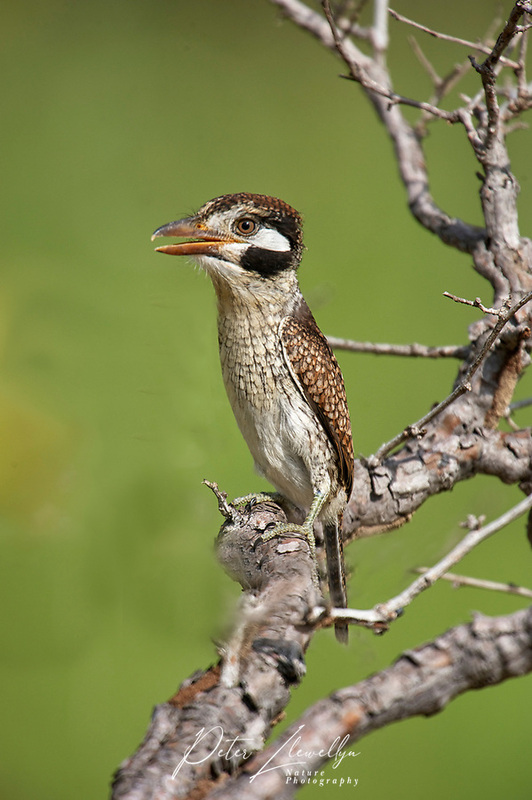 All images were then re-sized to fit the blog page using Photoshop to crop the converted JPEG. As you can see there are some distinct difference. The Nikon Capture version offers a more neutral tone and perhaps the best skin tones. The Photoshop version is much warmer whilst the Aperture version probably offers the truest blue of the track at the Olympic velodrome. Of course these images were shot under artificial light. This time let’s take a look at three images taken under natural light. This time I think the differences are even more apparent. The Aperture conversion shows warmer colour tones and mush more detail is apparent in the sand. The Capture version is even better, yet more sand detail is apparent with the most natural sky colour, and the Photoshop version is the weakest from every aspect. Compared to the other two it looks washed out and lacking in ‘punch’ with some considerable loss of detail. It is therefore a matter of which file will require the least additional work, and therefore the least time, to get it to look how I wish. The less time I need to spend working on a file the better as far as i am concerned. So, the question is, where does the future of my image processing lay, and will I need to re-write the Digital Workflow E-book available from this web site? I think the answer to a great extent will lie with how good the forthcoming database tool will be in Photomechanic. If it is all that they promise, and I had some long discussions with their development staff in the Main Press Centre at the Olympics, then yes, I think there are some major changes coming. If I can ingest my images from the memory cards, sort, caption, keyword and then database from within a single program that also has the ability to transmit selected images to both my clients and the online database (powered by Photoshelter) then I seriously need to re-think how I process my RAW files. Should I use Photoshop? Well, as stated above the latest version of Photoshop performs some tasks that I still need. 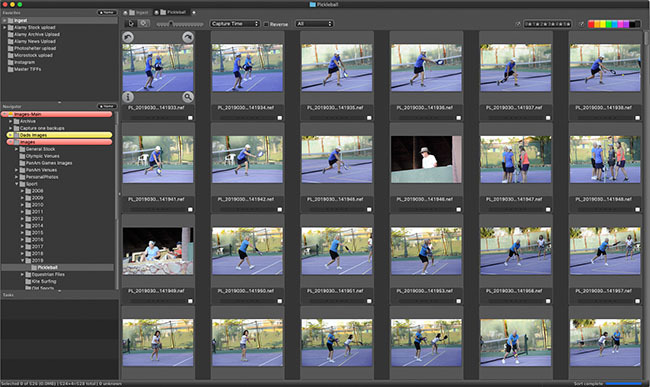 The problem is that I am not a great fan of the way Photoshop’s raw converter processes Nikon files as shown above. Should I use Nikon Capture? I am slowly coming around to this program, although of course Nikon are a great camera manufacturer and not primarily a software company. But, I am sure that Nikon’s engineers know more about Nikon’s raw file format that anyone else. Should I use something else entirely? There are other raw converters out there and I have tried many of them, but so far nothing has blown me away. You will notice that I have not mentioned Adobe Lightroom anywhere above. Mainly because Lightroom performs most of the same tasks as Apple’s Aperture, and although I cover the use of both products in ‘Digital Workflow for the Working Photographer’ I currently have a personal preference for Aperture. Incidentally Lightroom uses the exact same raw converter as Photoshop so there is no difference to be had there. Watch this space as they say and I will keep you updated as things progress, but the big wait is on Camerabits producing their database solution. I would value opinions and comments on this post.